Place - Pick a definite place where you’ll be everyday for your quiet time. It should be as free of distractions as possible. This place will soon become very comfortable to you. Schedule Time - Pick a reasonable amount of time and put it on your schedule. If you use an electronic calendar like I do, you can set it to repeat the appointment everyday. Start with 15 minutes, maybe even 10. By the way, it most likely will seem like a sacrifice at first, but keep the objective in mind. As you accomplish discipline in a little time it will be easier to increase the time you spend. Format - Decide basically how you will structure your quiet time. If Bible knowledge is your goal, then you may want to choose to do a Bible study. You can change the format over time and do combinations of each of these. Activities –Decide what you will specifically do in your time. Will you do a Bible study or simply read Scripture and pray? If your time is 15 minutes, for example, you could spend 6 minutes reading the Bible; 3 minutes talking to God; 2 minutes in silence, asking God to speak to you; and 4 minutes writing your thoughts at the time. The goal is not to be mechanical or punch a clock here, but rather to provide structure, which will lead to productivity in your building your God relationship. Discipline – Commit to doing something consistently for at least 30 days. Every day… without exception… do it… whether you “feel” like it or not. If you miss the exact time, make it up later in the day. Again, it will require sacrifice. Habits and lifestyles form this way and you’ll need this discipline, because as soon as you attempt this dozens of obstacles will stand in your way. Now I realize “easy” is not the best choice of words for this post, but I did want you to read it. Forming this time into your daily schedule will not be easy. Nothing of value is ever easy. The main objective for any of us, including pastors, is disciplining ourselves to do something everyday. Over time, it becomes a habit that is easily repeated. Even better, it will soon become the best and most productive part of your day. Help my readers out. What tips do you have? 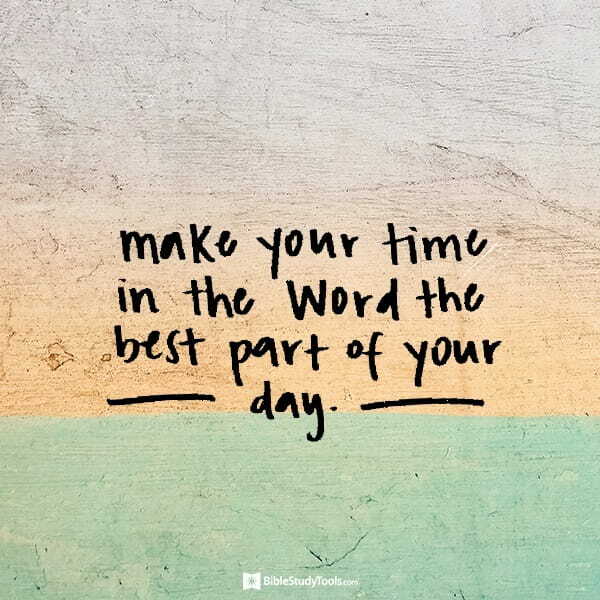 When do you do your daily quiet time? What format are you using? Editor’s Note: This post is adapted from How to Begin a Daily Quiet Time in 5 Easy Steps by Ron Edmondson. You can read the full article here.